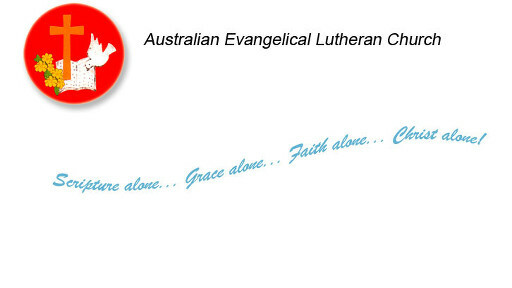 The Australian Evangelical Lutheran Church strives to cling to the Scriptures, to remain true to the Lutheran Confessions, and the principles of the Reformation. In today's society "Scripture alone, grace alone, faith alone" is being eroded away in lieu of 'trendiness' and human logic. We teach nothing new and stand on Scripture as God's Word to us and the message of salvation.